The Guatemalan government has claimed that 98 percent of all registered Guatemalans have voted for taking a long standing border dispute between Guatemala and Belize to the International Court of Justice (ICJ). There are just two things wrong with this whole voting process. 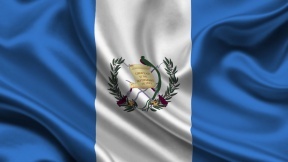 First, there were many Guatemalans who were not registered to vote, and so they were not counted nor was their sentiment counted for what they thought of the decision. Second, the vast majority of registered voters actually stayed home and therefore did not vote. We know what their sentiments are—they see the whole border dispute as an attempt to grab Belize’s land and that it had nothing to do with settling a border dispute or with justice. Actually, the Guatemalan government had taken those who did vote and those who voted “yes” for taking the whole so-called border dispute to the ICJ as a mandate so that Guatemala can grab Belize land. I should explain what is going on here. The whole territorial dispute goes back over 200 years when the Spanish part of what became Guatemala claimed half or all of the territory that would become British Honduras or better known today as Belize. Whatever the historical dispute, we can be certain of three things. First, trying to settle the whole border dispute by forceful means will only make a bad situation worse. Believe it or not, the British Army is stationed in Belize. It is called the British Army Training Support Unit in Belize. They train in jungle warfare, and the British Army has been in Belize since independence. So if Guatemala should try and invade Belize it will certainly bring Great Britain into the war. Second, this whole so-called referendum sounds like an attempt for Guatemala to try and grab half or all of Belize itself. If you look at the Guatemalan claim of what the border dispute is, it includes half of Belize. Belize is an independent, sovereign country and has a right to its own territory. Finally, all of the Belizeans are united in that they DO NOT want to be ruled by Guatemala. Will Belizeans simply accept being run and administered by the Guatemalan government and will the Guatemalan government respect the Belizeans? The fact that none of these things have been thought out tells me that Belize will be the ultimate loser in any attempt by the Guatemalan government to make good on its threat and just take Belizean land. This is why the Guatemalan government has referred this border dispute to the ICJ. It is an attempt to “legally” grab Belizean land in the “name” of so-called settling a border dispute. But like what Argentina did with the Falkland Islands, this is simply cover for a giant land grab—a whole country to be exact. The Guatemalan government could have tried to work with the Belizean government a long time ago to try and resolve whatever dispute there is. What the Guatemalan government is doing is appealing to Guatemalan nationalism and trying to exploit the situation to hide the fact that Guatemala itself faces a huge number of problems such as extreme poverty, the inequality of incomes between the classes, and the many injustices done to the native Mayan people. If anything, the money spent on the whole campaign for trying to promote the whole “yes” vote could have been better spent for helping the poorest of the poor Guatemalans. Many Guatemalans understand this, and many who live next to the border with Belize see this whole vote thing as a giant land grab of their neighbors’ lands. The majority of Guatemalans want to live in peace with their Belizean neighbors. Is the Guatemalan government even remotely taking this into account? !